Nice, love that brown crust! Like Ela, I love that golden brown crust! They look very tasty. How interesting, Deepti! 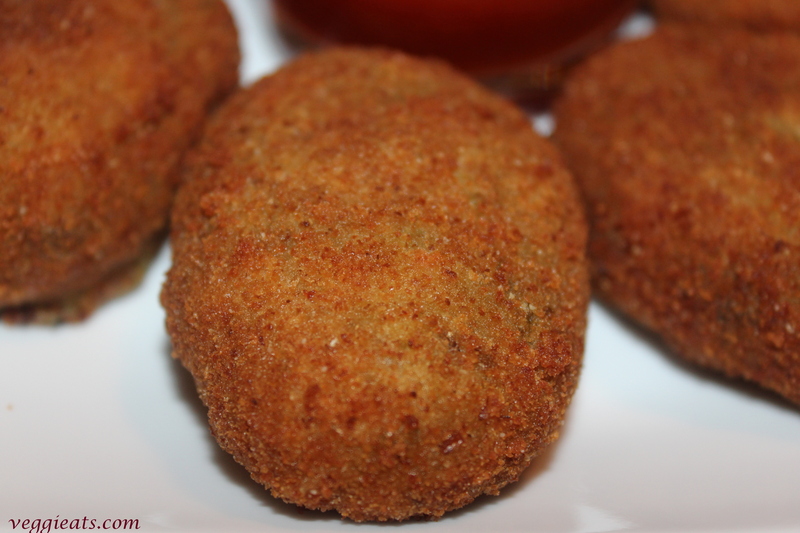 We have potato cakes or fritters in Brazil that are very similar to these ones. These look fantastic. Wishing you a very Happy Mother’s day! This is a very nice and healthy recipe. Thanks Deepti for sharing. 3 Hourse every day!!! this is way too much. I hope you will find a closer work soon:). Happy Mothers Day. Am totally salivating at these pics! I can imagine eating them with a cup of tea. Yum! 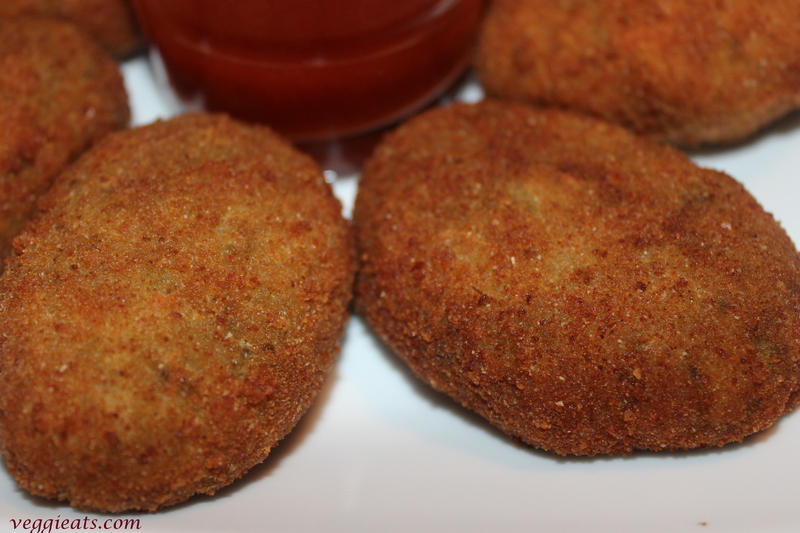 Wow Deepti, these veggies cutlets look delicious, you achieved the perfect color! I can see myself eating these gorgeous tikkis with some garam “Chai”. Love the beautiful golden crust on it too! I bet you can’t even miss the meat in these because of such a powerhouse packed flavor punch! I can so well understand your situation. It’s hard to balance family, work and the blog at times. 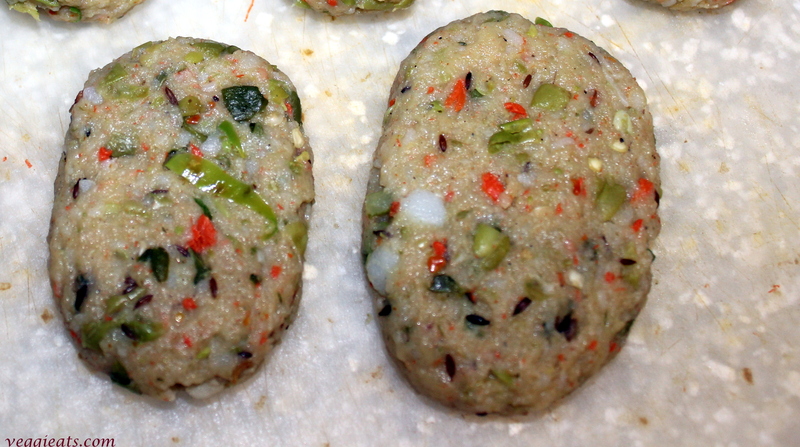 These cutlets look amazing and the extreme close-up is making my mouth water. Looks tasty. I am sure they freeze well. It is nice to have them on hand. 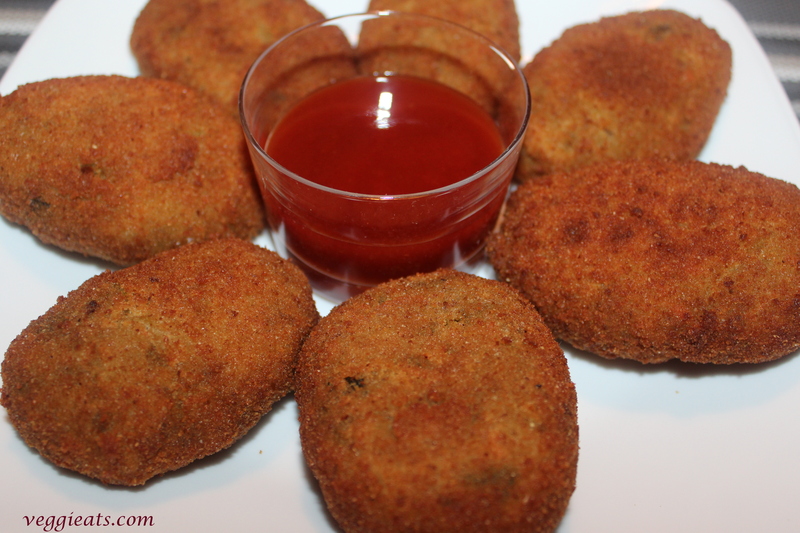 Deepti, your vegetable cutlets have such a perfect and wonderful color but what I like even better than their delectable looking outside, is the array of spices that you used for the mix – it sounds just amazing. 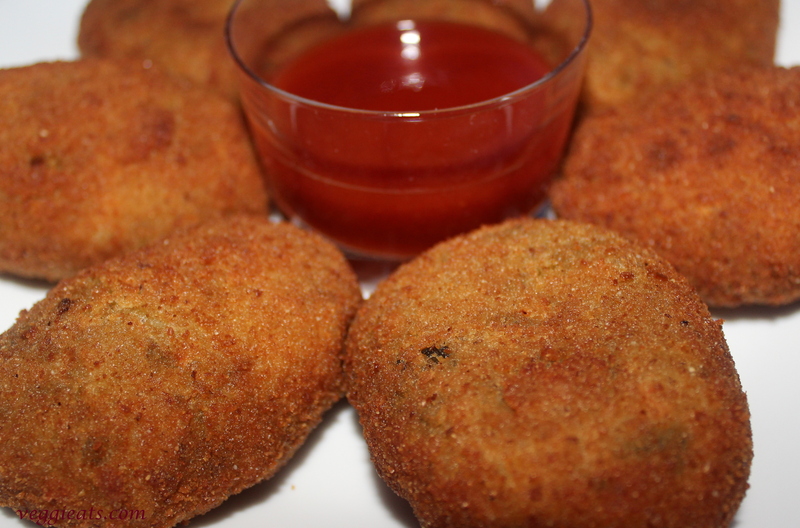 Am in love with these lovely cutlet! Thanks for sharing.. These look so tasty !! Thank you so much for your concern. I am doing well and have been awfully busy with guests, vacation and work, hence not able to blog.. I have missed many of your recipes already! Looks so amazing! Perfect for tea time!